Test that the viewer can handle the xlink:href attribute on linear gradients. There are two rectangles. 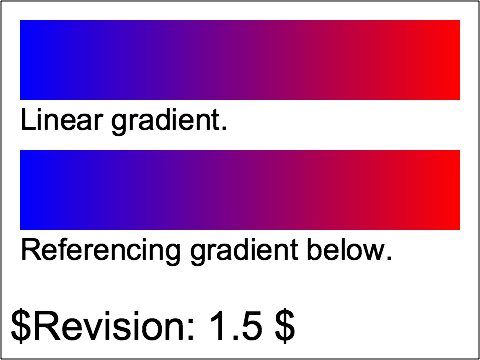 The top one has a simple blue (left) to red (right) linear gradient. 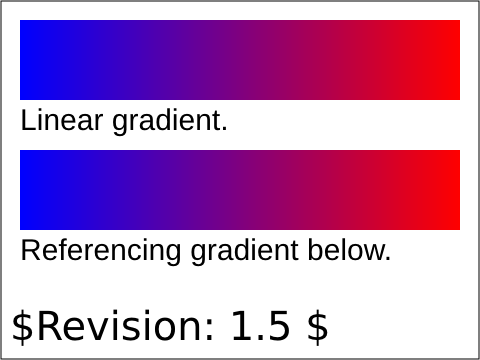 The lower one has a different gradient definition, but should look the same as the one above, because the gradient makes a reference to the first gradient, without modifying any attribute.